The ship traded various cargoes between Portugal, Rio de Janeiro, New Orleans, Mozambique, Angola, and Britain. 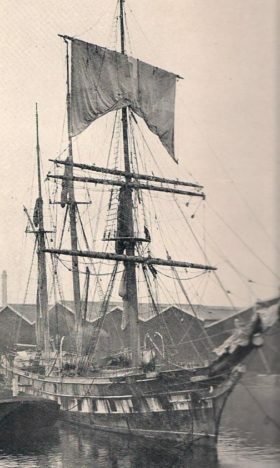 In May 1916 she was dis-masted off the Cape of Good Hope, South Africa, because of the rolling of the ship in bad weather, resulting in the cargo of coal shifting. She was towed into Table Bay off Cape Town. Because of World War I, it was impossible to obtain suitable materials to replace the masts so she was re-rigged over 18 months to a barquentine sail arrangement. Ferreira spent the remainder of 1916 and all of 1917 in Table Bay. Finally, in January 1918, she was towed out of the dock… and promptly collided with the quayside, damaging both her stem and her figurehead. But she was finally back at sea and the last year of the war was largely spent peacefully sailing along the west coast of Africa. In 1922 Ferreira was the last clipper operating anywhere in the world. 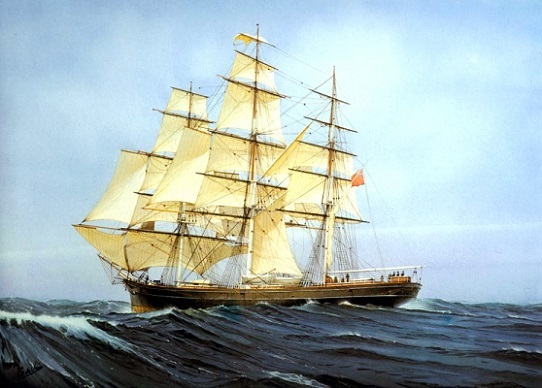 Caught in a storm in the English Channel she put into Falmouth where she was spotted by retired windjammer captain Wilfred Dowman of Flushing, Cornwall, who was then operating the training ship Lady of Avenel. The ship returned to Lisbon, where she was sold to new owners and renamed Maria do Amparo (Mary of the Refuge). 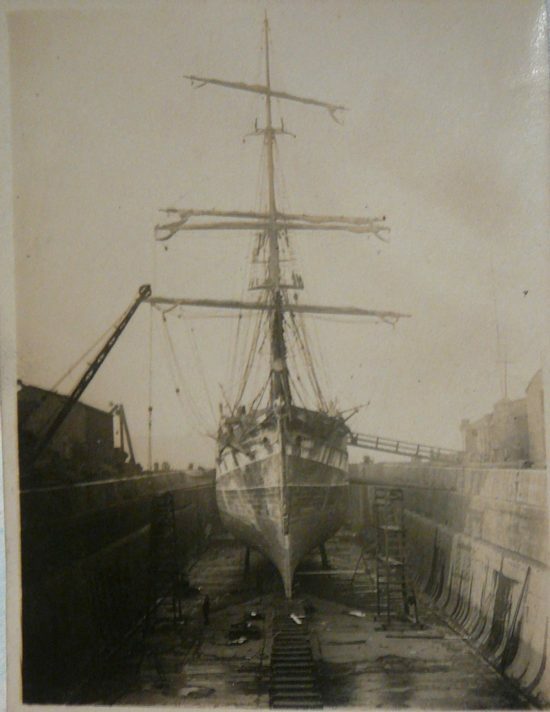 However, Dowman persevered in his determination to buy the ship, and she was returned to Falmouth harbour. 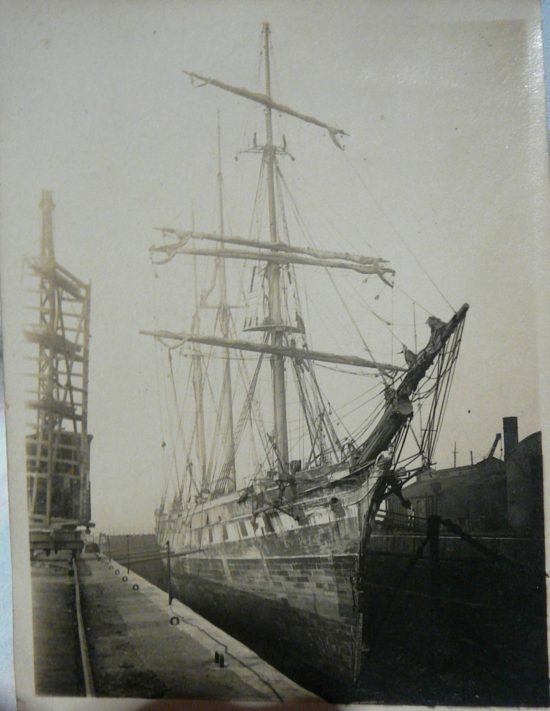 The rigging was restored to an approximation of the original arrangement, and the ship used for training cadets until restored and dry- docked at Greenwich, London, in 1957. She has been restored once more following a disastrous deck fire in May, 2007. 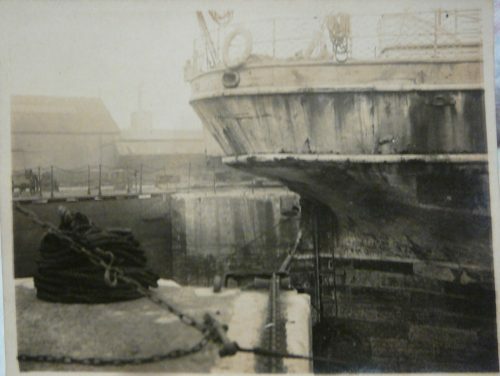 During dry- dock in the Port of London, or possibly Greenwich, probably 1922, but no later, my grandfather, F L Buckley, took these photographs. At that time he was a trainee naval architect. 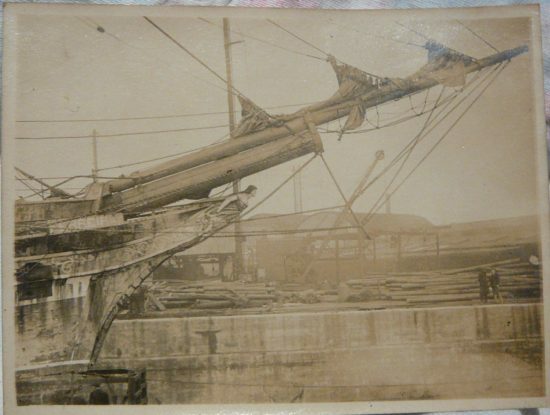 They clearly show her reduced barquentine rig, her poor condition, and evidence of known damage. Cutty Sark is such a well known ship, and yet a superficial look at these images may not mean much. Of course, for every thousand recent images, there are few indeed of this vintage. Next Next post: Zika- a rushed response?